Newhaven has substantial physical capacity for growth and is a critical part of the Greater Brighton economy – offering space to house the region’s expanding high-growth businesses. • The £1.3 billion Rampion Offshore Wind Farm. Rampion’s Operations & Maintenance Base is located at Newhaven Port, within the Enterprise Zone. • The £13 million University Technical College (UTC@harbourside), specialising in marine and environmental engineering for 14-19 year olds. Newhaven is already highly accessible, being located close to Brighton and London. This is being supplemented by a £17 million investment in the town’s flood defences, as well as the planned new Port Access Road linking the waterfront with some of the main access routes through Newhaven. Alongside the fantastic new UTC@harbourside, Newhaven boasts an additional further education establishment (Sussex Downs College) as well as proximity to both local universities – Sussex and Brighton. Newhaven’s Enterprise Zone is forecast to create and safeguard up to 2,000 jobs, as well as creating significant new and refurbished commercial floorspace for emerging occupiers. 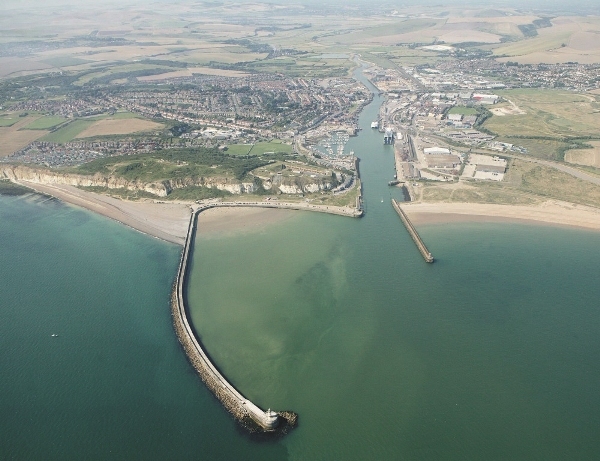 79ha of land across eight key sites in Newhaven, East Sussex.